I loved this book. It grabbed me from the very first few minutes and it just kept going until the end. Wil Wheaton's narration was superb from start to finish. The world that the author created was so vivid, I was completely immersed in it (excuse the pun) and could really imagine being there. 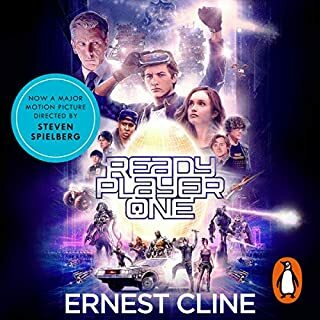 The story takes place in a dystopian world where the main escape for most people is to put on a VR headset and transport themselves to the Oasis. As someone who has taken a keen interest in the upcoming Oculus Rift and Sony VR headsets, this novel gave me a glimpse of how the technology may evolve in the future. Even if you have no interest in gaming or virtual reality, this is still a riveting read. I highly recommend this book to anyone and hope that the author follows this up with something equally unique. First Baldacci book. Reasonably impressed. 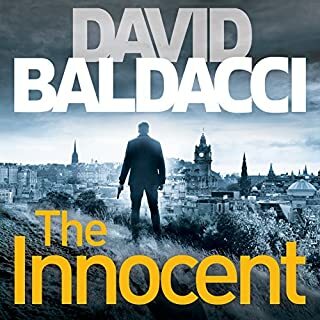 Having never read a Baldacci book, I think that this book may persuade me to try at least another one. On the whole, it was fairly run of the mill stuff. It's quite formulaic but I suppose that's appealing to many fans of the genre. Men are handsome, muscular and brave; women are beautiful, sassy and smart. Kids are wise beyond their years. Everyone is at the top of their profession. It's all just the usual stuff. Parts of the storyline was slightly far-fetched in some places but most things were wrapped up well enough at the end. The performances were fine and the main narrator had a suitable voice. The female voices were delivered by Orlagh Cassidy and was probably necessary since I doubt that Ron McLarty would have delivered a very good female voice. I would add that the dialogue seemed a bit disjointed in places where dialogue involving both narrators was involved. To me, it seemed obvious that both narrators recorded separately and it was spliced together post-production. I didn't care too much for the sound FX and atmospheric music and found it completely unnecessary. The B grade music cheapens the overall feel of the production. I'm not quite sure which Baldacci book I'll read next. I'll have to think about it. I listened to this book right after listening to "The Stand", one of his early works and one that I read about 20 years ago. This book, by comparison, doesn't meet the same standard. However, it was still a good listen since King on a bad day is better than most writers on their best. I'd previously given up on his books after several quite disappointing efforts around 10 years ago. He seemed to lose his voice for a time and churned out disappointments such as "Hearts in Atlantis", where they started off well, but then descended into nonsense by the end. He seemed to return to form over the past 3 or 4 years and there have been several novels that I really enjoyed such as 11.22.69 and Dr Sleep. I even liked Mr Mercedes even though it was detective fiction rather than horror. 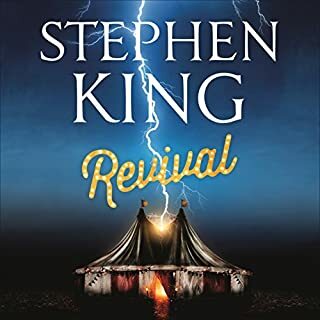 Revival shares some parallels with Joyland (another of King's recent efforts which disappointed me slightly). Both are written as an account of events past from the protagonist subsequent to events that the protagonist wants to get off their chest. Also, both have prominent links to carnival culture (Joyland more-so than Revival). I enjoyed the book and was immersed in Jamie's world for the duration. His character was well developed as was those of the other characters in the book. Although, it read more like Jamie's autobiography from the age of six rather than a stand-alone narrative. It has all the milestones; first love, first car, which was interesting but not overly relevant in my opinion. The main meat of the story was interspersed throughout the book amongst all the filler. I was confused by the character of Charlie "the Rev" Jacobs and couldn't quite work out what his main goal was nor what his belief system actually boiled down to. The book tries to deal with themes such as faith, loss of faith, grief and provides some food for thought on these themes. There are some contrivances in the plot, which is something I tend to find annoying in books and I can't discuss this without giving away plot details. My guess is that when contrivances occur in books, it's because the author was struggling to find a way to advance the plot or was just a bit lazy. The last hour and a half seemed a bit rushed to me and the climax was a bit anticlimactic. I was left feeling that Charles Jacobs' life's work was almost completely disconnected to what he was trying to accomplish at the very end. As an aside, David Morse's narration was very good and his acting skills were obvious in his performance. To sum up; I would recommend this book to anyone who likes Stephen King. Definitely not his best work but it's still an enjoyable way to spend 14hrs or so. I found this book engaging but ultimately unfulfilling. This book takes the form of a memoir that constantly grated on my nerves by how the author constantly bragged about his all round genius at almost every opportunity. 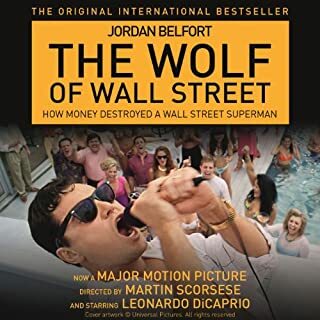 The continuous emphasis on the obscene amounts of money that he made/spent were present on almost every paragraph, although this was something I should have expected given the premise of the book. The author doesn't shy away from his tales of debauchery and depravity but there always seems to be an undertone of justification underneath which appeared to be an attempt at condoning his actions for one reason or another; even when on the surface, he's criticizing himself for the things he's done. After a while I began to feel complicit in indulging his "fake confessions". At the risk of stereotyping a nation, Americans aren't usually backwards about coming forwards. In comparison, Brits tend to be a bit more self-effacing. But this guy took his self-promotion to a whole new level and had no shame in proclaiming his brilliance at every opportunity. The narrator exacerbated my irritation with his overemphatic delivery of much of the dialogue in a tone that, in my opinion, was not what the author intended. I felt that he took on too much responsibility in "acting out the dialogue" and think that a more understated performance would have improved this book considerably. His characterisation of females were particularly annoying and sounded more mocking than anything. He sounded like a bit of a wiseguy himself and I half-expected a "bad-a-bing" to escape his lips at any moment. All in all, the author tries to make us think that, despite all the despicable things he did and the way he made/spent huge sums of money over a period of years, he was basically a decent guy. And this was something I found it impossible to buy into. Despite all this, the book held my attention to the end and I was keen to find out how the whole thing would end. Unfortunately, I got the distinct impression that he still thought of himself of an amazing individual even at the end. Perfect People...not a perfect book. I enjoyed this book but not as much as I though I would judging by most of the book reviews I read. The premise of the book was interesting and the story was reasonably well thought out. The narrator's natural voice was strong and clear but I wasn't too keen on her "male" voice. My main criticisms of the book are as follows. - I was left with too many unanswered questions by the end. - In some situations, the behaviour of John and Naomi seemed a bit out of character. Despite this, the book kept me listening avidly until the end and I found the conclusion satisfying. 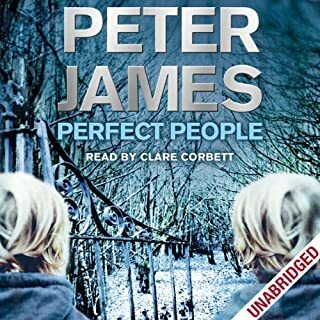 This was the first book of Peter James that I listened to but unfortunately, it would not prompt me to rush into downloading some of his other work anytime soon. Didn't enjoy this book as much as I could have. Two things dampened my enjoyment of this book. The first was the images of the two main characters that was thrust into my head due to the film that has been released. I'd much rather generate the character images myself based on the description contained in the book. Secondly, I found the narration of this book somewhat annoying. Her normal reading voice was fine but some of her "character voices" heavily grated on my nerves every time I heard them. In many situations, I felt she used the wrong tone. For example, she hinted at anger when I felt the text was calling for sadness etc. Saying that, as the book progressed I became immune to the narration and some of the more annoying voices were required less and less towards the end of the book. The actual story was fairly interesting and I grew quite fond of the main characters. Some of the dialogue was quite witty but was never laugh out loud funny. There were a few cliched characters and some unoriginal story-lines revolving around relationships, drugs, infidelity, parenthood, love and all that. 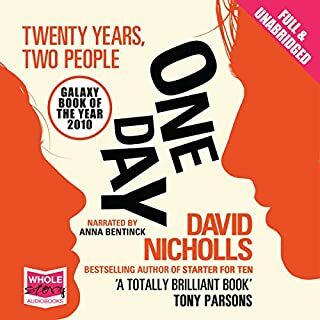 After I'd finished the audiobook, I was glad that I listened to it because I have since found my thoughts fondly drifting back to the book on occasion. The amount of introspection that the main characters engage in encourages the listener to ask those big life questions of themselves.